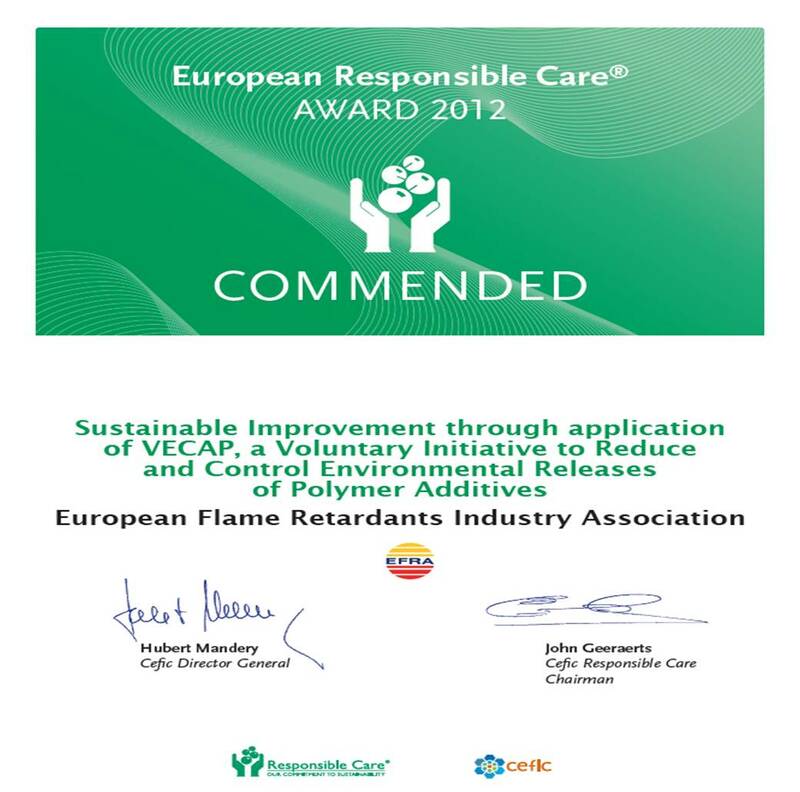 EFRA was awarded a special praise from Cefic for VECAP on 28 September at the annual European Responsible Care 2012 Award ceremony at the Global Chemical Industry European Convention in London. The judges paid tribute to the programme as an innovative environmental management tool for handling chemicals through the supply chain, demonstrating the active involvement of companies to adapt practices. "The EOC group will certainly benefit from VECAP, which will ensure that everyone who is working with flame retardant inishing will receive the most updated information on Deca-BDE and the flame retardant compound. Moreover it will strenghten the EOC group's environmental philosophy on emission management and process improvement."